The Oddworld series is moving into a new genre with the revived Oddworld: Hand of Odd. Maybe it says something awful about me, but the primary aspect of the Oddworld games that really stuck in my mind was the use of flatulence as a gameplay mechanic. When I say the Oddworld franchise is set to "stink up" the real-time strategy genre, I mean it literally. Developer Just Add Water has revealed that the upcoming Oddworld: Hand of Odd will take the creatures from Oddworld and deposit them in an RTS. 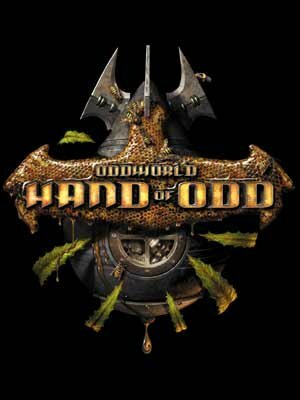 Oddworld: Hand of Odd was first announced in 1998, but cancelled a year later. Just Add Water has been working on new Oddworld games that include HD versions of Stranger's Wrath and Abe's Oddysee as a revival of the franchise, and Hand of Odd has been added to the bunch. Just Add Water managing director Stewart Gilray told Eurogamer that Hand of Odd will be in full 3D and feature gameplay similar to Command & Conquer combined with the player-friendly mechanics that draw players into titles like Farmville. Players will presumably have control over battalions of Mudokons, Glukkons, Sligs, and other creatures. The project is still in its early stages, but Just Add Water hopes to bring Hand of Odd to platforms like the iPad, PC, and Mac. The Xbox 360 and PS3 are off the table for now as Just Add Water doesn't feel their interfaces are intuitive enough. War via flatulence does require some precision, so it sounds like Just Add Water is making a smart decision for its customers.